Exploring the life and work of New York street photographer Martin Elkort, An American Mirror is the documentary debut of his daughter, Houston-based Stefani Twyford. 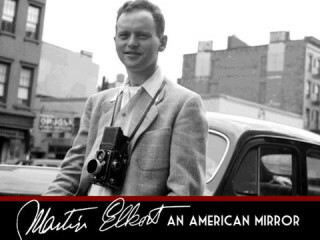 An American Mirror chronicles Elkort's life growing up in New York during the Great Depression, serving in World War II, being stricken by polio and discovering his affinity for documentary photography. Educated at the Cooper Union, Elkort (born 1937) joined the renowned New York Photo League, where he studied under and shared darkrooms with Aaron Siskind, Lou Stoumen and Sid Grossman. Elkort put artistic pursuits on hold to support his family, but his interest in photography was rekindled when his children gave him a digital camera for his 70th birthday. Richly illustrated with photographs, this personal study features Elkort's reflections on his career and creative process, along with commentary by noted photography historians Anne Wilkes Tucker and Catherine Evans. An exhibition of Elkort's photographs is on view at Catherine Couturier Gallery. The screening will be introduced by Anne Wilkes Tucker, Gus and Lyndall Wortham Curator of Photography. A Q&A with filmmaker Stefani Elkort Twyford follows the screening. $9 general admission; $7 MFAH members and seniors; $5 Film Buff members.